The digital era has disrupted the music industry, and brought some great and not so great benefits with it. Artists are able to directly connect with fans, market, promote and sell music, without needing a large label record deal, thanks to social media. Social media has also helped successfully break artists into the music industry, a great example is Justin Bieber. There are, however, pitfalls to avoid. The importance of social media as a marketing tool. The basics of social media, & the best platform for artists. How to stay out of trouble, legally speaking, when using social media. Presenter: Uduak Oduok (Ms. Uduak) is an attorney and co-founder of EBITU LAW GROUP, P.C., a Sacramento based law firm providing legal services to businesses and individuals; including those in the fashion and entertainment sector within and outside California. A graduate of U.C. Hastings College of the Law, Ms. Uduak has been featured in prestigious legal publications including The ABA Journal and California Lawyer Magazine. 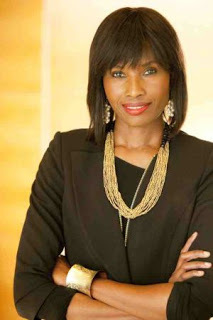 Ms. Uduak pioneered the first Fashion Law seminars in Northern California, and is a recognized name within the growing niche practice of Fashion Law in the USA. As an author of numerous articles, her work has been cited in prestigious law journals, and she has been quoted in several national and international newspapers and magazines, including the Huffington Post. Ms. Uduak is also a legal commentator and regularly invited speaker who has spoken at diverse organizations including The Wharton School of Business, The National Association of Women Business Owners, Woodbury University, Fashion Law Institute, California Lawyers for the Arts, U.C. Hastings College of the Law, San Joaquin Delta College, SXSW, Fox40 News, Al Jazeera, New York’s 99.5FM WBAI and 107.5FM WBLS. She is a contributor to four books, including a recently published book by the International Association of Entertainment Lawyers titled, ‘The Monetization of the Global Music Business – From Creators to Major Industry.’ She has also just completed her first music law book for Nigeria and Africa's entertainment industry. General Admission: $20 Online (+ Processing Fees). CLA Members: $10 Online (+ Processing Fees). Requires Member Access Code. CLA Senior Members $5 Online (+ Processing Fees). Requires Member Access Code. CLA Student Members $5 Online (+ Processing Fees). Requires Member Access Code.